With Target's new See In Your Space Tool, shoppers can visualize more than 200 furniture products in its Project 62 line through the mobile website. The retailer plans to expand support to hundreds more products by the end of the year and thousands in 2018. When encountering an eligible item, users can click the See In Your Space Tool. From there, the mobile web browser connects to their smartphone's camera to snap a photo of the space, upon which the web app inserts an image of the product. 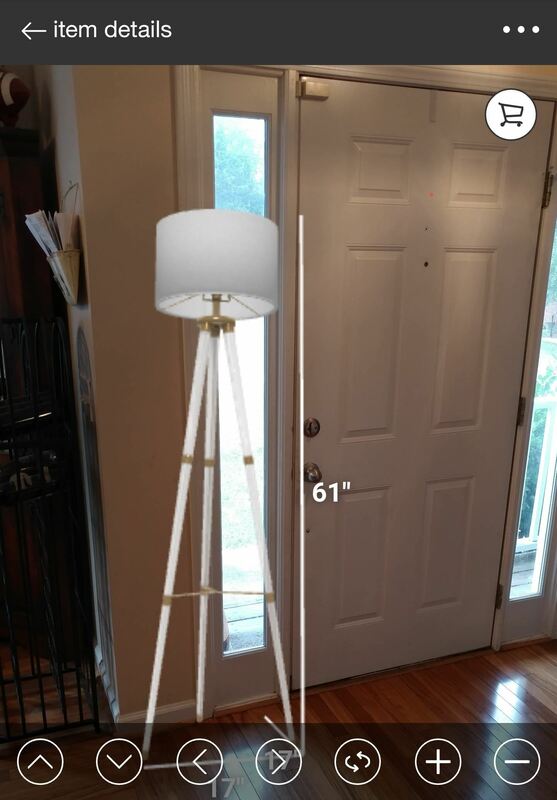 Users can adjust the scale with pinch gestures, use on-screen controls to orient the item in the photo, and tap on the item to see dimensions. 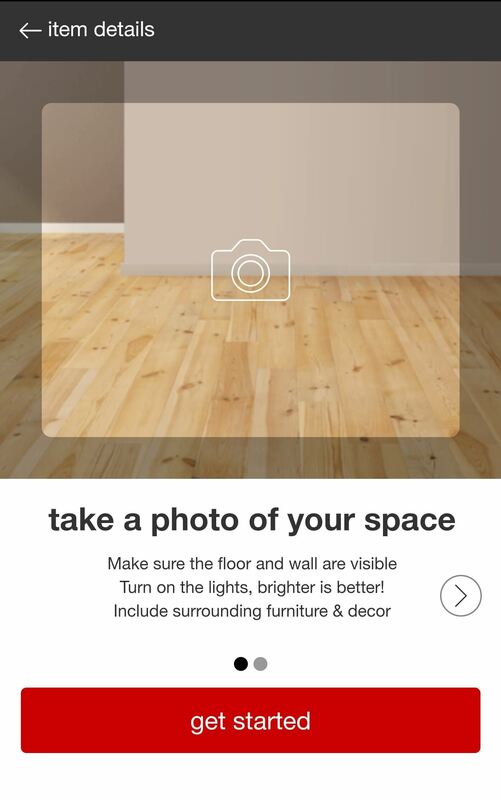 IKEA Place is able to detect the floor and place an item at scale to the environment, whereas Target's tool requires manipulation of the image and manual measurement of the space. 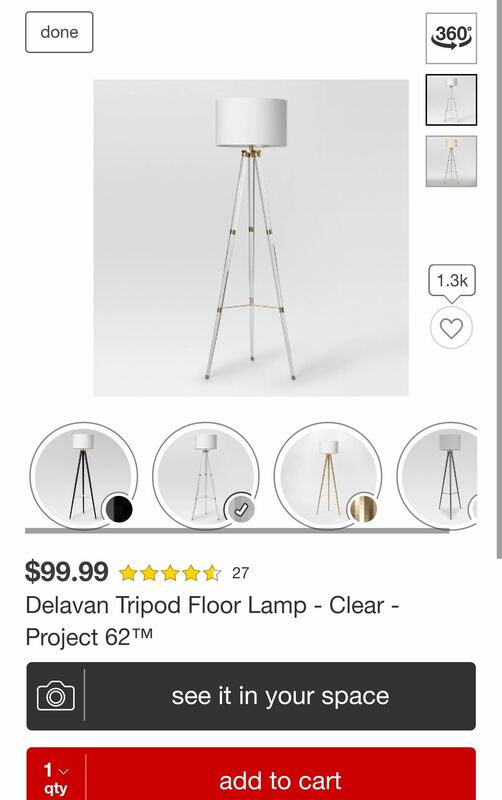 IKEA Place lets users see the item from multiple angles, while Target's website requires users to repeat the process from each angle. 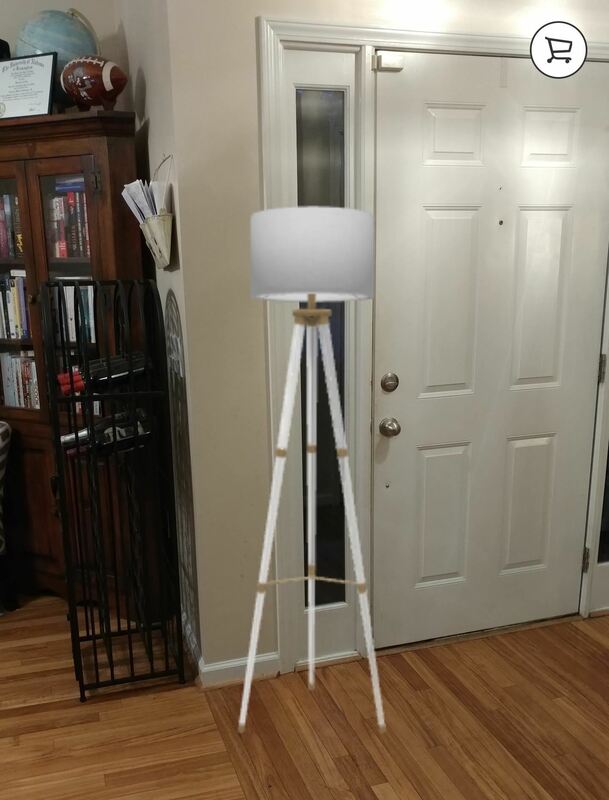 While ARKit is supposed to let IKEA Place apply realistic lighting effects on the product, I really couldn't tell the difference between the two renderings. Call this one a wash.
A lamp on Target via LG V20 (left) vs. a lamp from IKEA via iPhone 6S (right). But what Target sacrifices in technical functionality, it gains in scale. 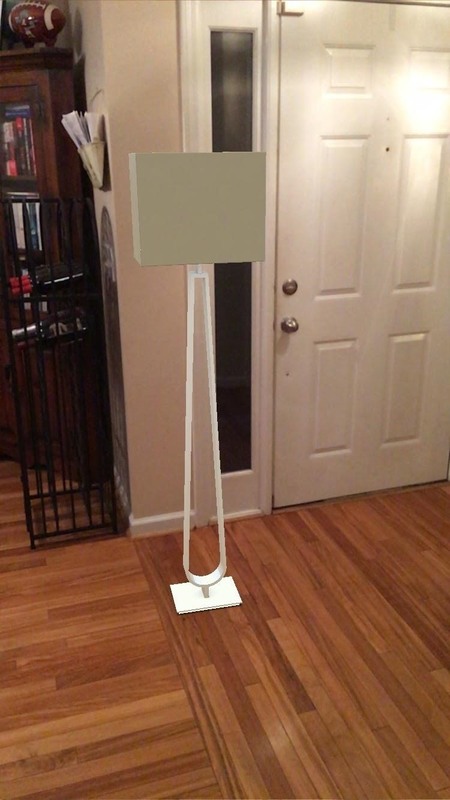 Consider that ARKit is only available on iPhones and iPads that run on the A9 processor at a minimum, and that ARCore is limited to a handful of Android devices. So while the population of AR-ready mobile devices numbers in the millions, Target's AR tool is available for practically any mobile device on the street today. "We developed the interface on mobile web first because we wanted to reach a wider audience more quickly," a company spokesperson told TechCrunch. "We also feel like by using mobile web, it's a simple experience — guests can easily snap pictures using their phone, they don't have to use any additional hardware or apps. We just felt like it was a really straightforward experience." Ultimately, the goal for these apps is to sell more stuff. While ARKit is the fancy new car, sometimes all you need is something to get you from point A to B. Disclosure: My wife works for Target.